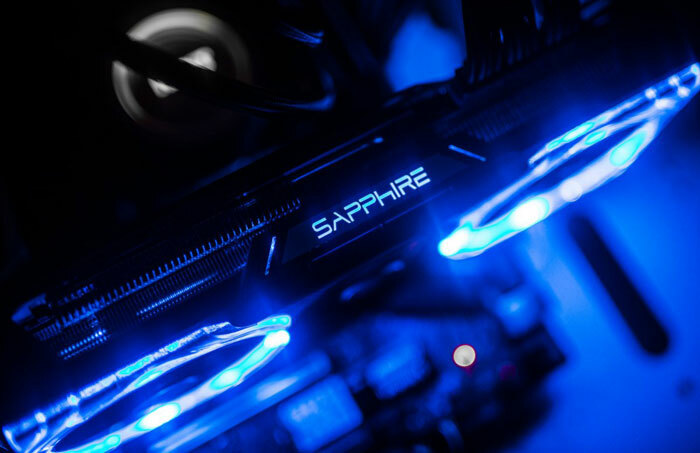 Sapphire is teasing the impending arrival of the Sapphire NITRO+ Radeon RX Vega. Global VP Marketing at Sapphire, Adrian Thompson, Tweeted that “It’s finally coming”, simultaneously tagging all the words that make up the full title of this highly anticipated graphics card. Until this / these NITRO+ product(s) come out, all of Sapphire’s Radeon RX Vega offerings are simple rebadged AMD reference designs. A few more juicy details and images followed up Sapphire’s official Tweet. In response to Thompson’s Tweet and photo the HardwareLuxx Editor replied that he was already installed the Sapphire NITRO+ Radeon RX Vega into a test rig. 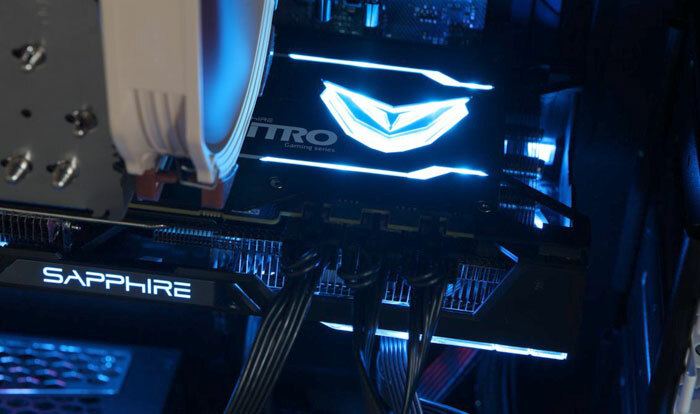 The picture shared by HardwareLuxx revealed Sapphire's new NITRO+ card features 3x 8 pin power connectors, and in the photo they were all connected up (see below). A reply from a Sapphire Tech sales agency confirmed that while there are indeed three power connectors, only two are required for the day to day operation of the card. Only during extreme overclocking shenanigans would a user need to connect up to all three sets of pins. Custom design Vega cards are starting to show up at last, at least in launch notices and for pre-orders. We have heard that AMD has ceased production of reference models to free up parts for its partners. Designs by Gigabyte, Powercolor, XFX, and Asus have been seen in the news reently. Most notably HEXUS got an exclusive review of the Asus Radeon RX Vega 64 Strix Gaming back in August, but retail availability is still a problem. How do you avoid being slapped for breaking a release NDA? Report someone else breaking a release NDA! I really hope they haven't whacked up power usage even more for a slight performance boost - if anything Vega users are showing with some tweaks performance/watt is easy to increase. New cards, and on top of that it looks like new drivers will mean all AMD cards need re-benchmarking. Busy time for some! Looks like my RX580 may get a nice kick, happy days. I hope so as that Vega 64 power consumption is just silly. A few years ago, yeh sure but not these days. EDITED because I forgot to quote so this made no sense.